Made of modern 600D rip-stop polyester, this sporty,lightweight duffel features 2 gusseted compartments on both ends and one in front. 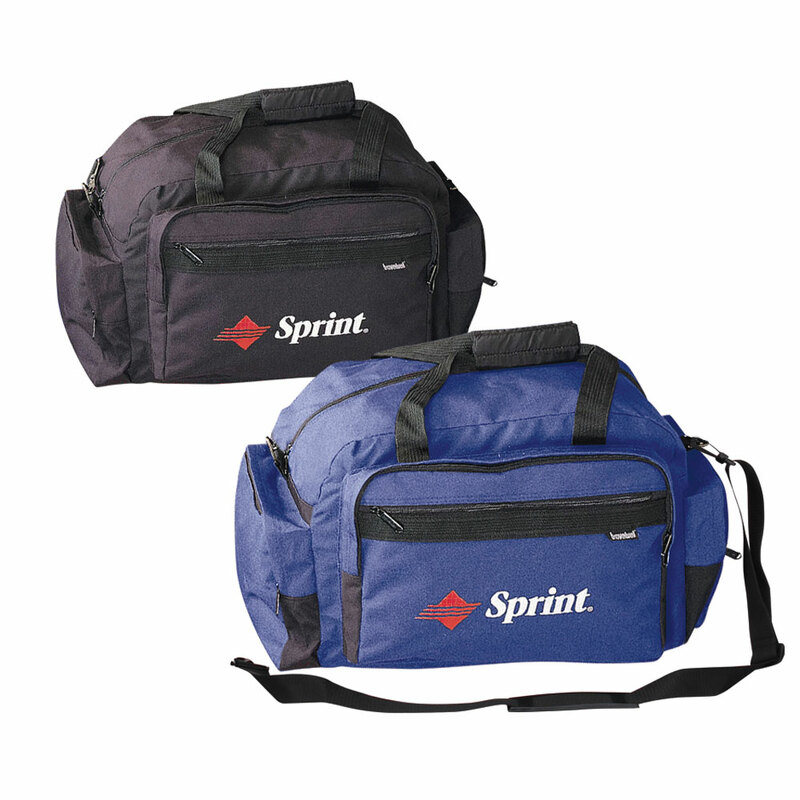 A unique strap set horizontally on the back allows this bag to fit neatly over the pull-up handle on your luggage. Detachable shoulder strap. Imprint: On front zip pocket approx. 7" x 5"
Embroidery: Available on front zip pocket approx. 5" x 3 1/2"
Product Size: 22" x 10" x 12 1/2"
Pack Info. : 24 pcs / 46.00 lbs. Pack Note: (Actual Weight) / 17" x 21" x 11"